A post-apocalyptic debut novel in a tradition that includes The Hunger Games and Station Eleven, this vision of a possible future shows humanity pushed beyond its breaking point, the forging of vital bonds when everything is lost, and, most centrally, a heroic young woman who crosses a frozen landscape to find her destiny. Lynn McBride has learned much since society collapsed in the face of nuclear war and the relentless spread of disease. As the memories of her old life continue to surface, she’s forced to forge ahead in the snow-drifted Canadian Yukon, learning how to hunt and trap and slaughter. Forget the old days. Forget summer. Forget warmth. Forget anything that doesn’t help you survive in the endless white wilderness beyond the edges of a fallen world. 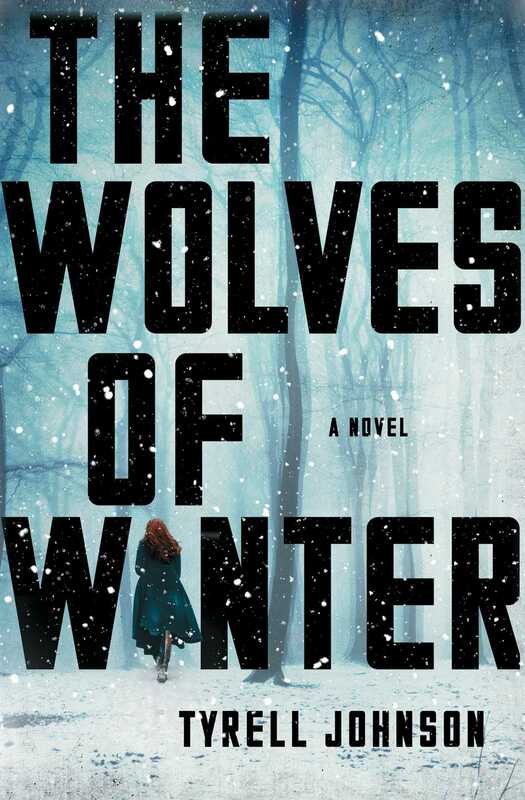 “With elements of Cormac McCarthy’s The Road and TV’s The Walking Dead, (Kirkus Reviews) The Wolves of Winter is both a heartbreaking, sympathetic portrait of a young woman searching for the answer to who she's meant to be and a frightening vision of a merciless new world in which desperation rules. It is enthralling, propulsive, and poignant. This reading group guide for The Wolves of Winter includes an introduction, discussion questions, and ideas for enhancing your book club. The suggested questions are intended to help your reading group find new and interesting angles and topics for your discussion. We hope that these ideas will enrich your conversation and increase your enjoyment of the book. A captivating tale of humanity pushed beyond its breaking point, of family and bonds of love forged when everything is lost, and of a heroic young woman who crosses a frozen landscape to find her destiny, this debut novel is in a postapocalyptic tradition that spans The Hunger Games and Station Eleven but blazes its own distinctive path. 1. Why do you think the author chose Walt Whitman’s Song of Myself to be the special book shared between Lynn and her father? 2. Would you have dealt with Conrad, after his attack of Lynn, the same way Jeryl did (page 26)? Why or why not? 3. Why do you think Ramsey gets upset when Lynn tries to sleep with him? Why does Lynn get “this ball in the pit of [her] stomach” when she thinks about it afterwards (page 37)? 4. Lynn’s father tells her that first you survive in your head, then in your stomach, and then in your heart. He tells her, “You have to have all three” (page 63). How do Lynn, Mary, Ken, Jeryl, and Ramsey survive at their homestead? Do they each have all three? 5. Should Lynn have been more wary of Jax and Wolf when they appeared (page 52)? What would you have done in Lynn’s place? 6. After Jax and Jeryl leave in pursuit of Nayan, Lynn feels, “If I was ever going to get away, this was my chance” (page 116). Why is she so compelled to rush after them in that moment? 7. While Lynn is at the Immunity camp, Braylen’s motives are difficult for Lynn to decipher. Did Braylen ultimately mean well? Was she trustworthy? 8. Anders’s methods for combating the flu are “harsh, but they work” (page 185). How might his actions be justified despite their cruelty? 9. Anders calls Lynn “a stupid child” before his death (page 281). How does Lynn grow and mature over the course of the story? How is she still childlike? 10. Was Mary right to keep Lynn’s immunity and her father’s letter a secret (page 260)? Should she have told Lynn sooner? 11. Why does Jeryl leave the camp in search of the bear he believes to be John-Henry (page 290)? 12. What do you think Lynn and Jax might find in Vancouver (page 297)? 1. The Wolves of Winter details some of the routines the McBrides and their friends must keep up in order to survive in the Yukon—hunting, trapping, building their homes from scratch. Watch the documentary Alone in the Wilderness, about a man who built a cabin and lived alone in the Twin Lakes region of Alaska, and discuss what life in the wilderness would be like with your group. 2. Quotes from Walt Whitman’s Song of Myself are woven throughout The Wolves of Winter. Read Song of Myself, or listen to a recording of it at whitmanarchive.org/multimedia/audio.html, and discuss your favorite passages. Tyrell Johnson is a twenty-nine-year-old writer and editor who grew up in Bellingham, Washington. He received his MFA from the University of California, Riverside, where he studied fiction and poetry. 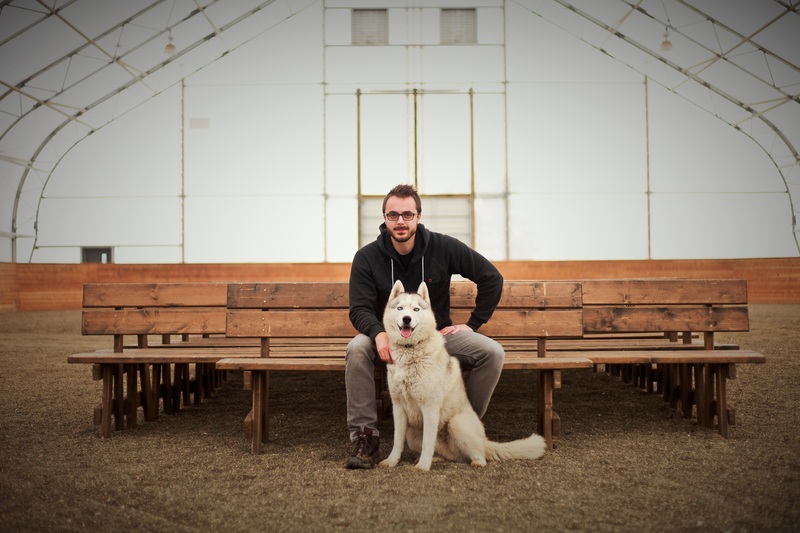 An avid outdoorsman, he currently lives in Kelowna, British Columbia, northeast of Vancouver with his wife, two kids, and a Siberian husky. The Wolves of Winter is his first novel. A PopSugar "Best New Book of Winter"